PS3 has the longevity to outlast both its rivals, says Sony Worldwide Studios head Shuhei Yoshida. Wondering what the next PlayStation will be like? Well, Sony's Shuhei Yoshida says that it will be a while before you find out, and you should expect to see a new Xbox or a new Wii before the PlayStation 4 comes out. Yoshida believes that the lower power of the Xbox 360 and the Wii compared to the PS3 will mean that either Microsoft or Nintendo will be the first to release new hardware: "Looking from the outside, it was Microsoft that released the first of this generation of consoles. Naturally, in my opinion, Microsoft will make the first move," he said. "Or, because Nintendo's approach was not to upgrade much on its basic hardware - Wii doesn't even support HD resolution - so they might be the first to move." "Probably the watch should be on these companies, in my opinion. Because PS3 was later than Xbox, and is more powerful, so it has a longer lifespan," he added. 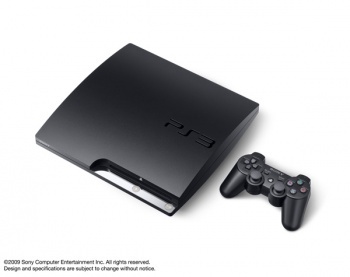 Sony Computer Entertainment Kaz Hirai made similar comments about the PlayStation 3 recently when he said that it had been designed to be "future proof," and that Sony wanted to reward its customers investment with a "long and valuable piece of hardware." It's also true that the PS3 hardware has been very costly, with Sony not expecting to turn a profit on the console until next year. It makes sense that it would want to try and maximize the return on its investment, rather than start the cycle again with a new machine.